Attractive top floor flat which is located in this popular location in Kirkintilloch town center. 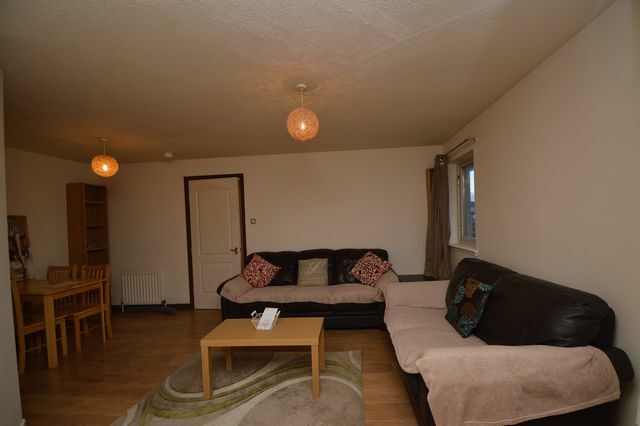 The flat comprises entrance hallway, generous storage cupboards, large living room with space for dining table, kitchen off living room, master bedroom with fitted wardrobe, second bedroom with fitted wardrobe and bathroom with shower over bath. Gas Central heating and double glazing. Offered to the market furnished, would suit a professional couple or sharers. Resident Parking.Ideally situated for all amenities locally in Kirkintilloch City Centre.